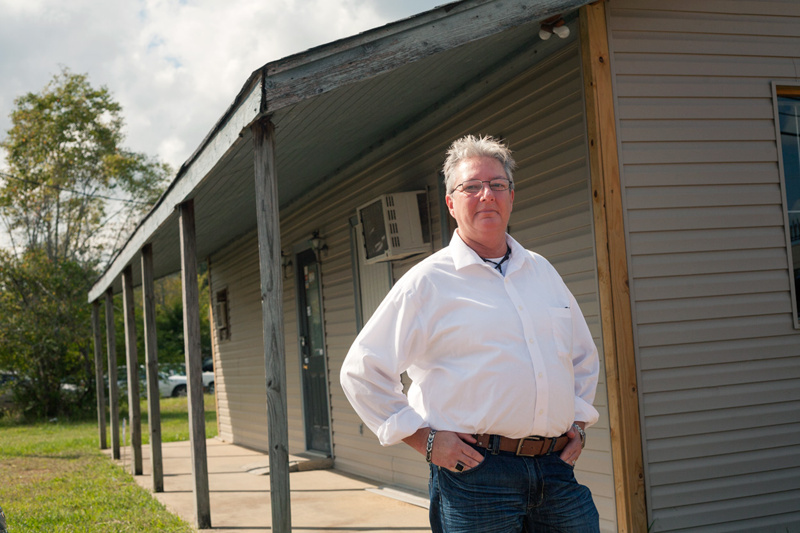 I worked on an interesting story a while back for the Huffington Post about PJ Newton and her fight to reopen her gay-friendly bar in the small town of Shannon, Mississippi. The town voted to deny her application and that has led the Southern Poverty Law Center to take up a case, with PJ, against the town and its current and former aldermen for unconstitutionally discriminating against gays. The article is posted on their website (here) and it's set to come out in next week's print edition as well. Well worth a read. Here's another photo from the story of the man, Tom Lyles, who owns a repair shop right next door the the bar. More photos available on their site, in the iPad edition, and soon in print.